Many of you applying for Indian Passport will come across this question “Are you eligible for Non-ECR Category?”. It can be very confusing with ECR and Non-ECR as many of us are not sure what they mean. Also, you may be asked for emigration clearance for employment in certain foreign countries for ECR passport holders. We will look at all these aspects, including how to get that removed that as well, if you are eligible. Firstly, as you all know a passport is a travel document, issued by a country’s government. It certifies the identity and nationality of a passport holder. 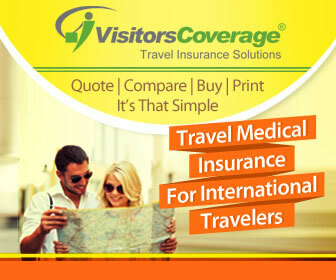 You need it to visit any country or to work overseas. In India, there are two types of passports ECR and Non-ECR (formerly called as ECNR). What does ECR in Indian Passport mean ? ECR stands for Emigration Check Required. Depending on your status like education, age, marital status, etc. You would be either qualified for ECR or Non-ECR category. Who all are fall under ECR ( Emigration Check Required) Category for Indian Passport ? Typically, if you have not passed 10th grade/class ( Matriculation or higher education pass certificate) then your passport will fall under ECR Category. What is Non-ECR or ECNR in Indian Passport ? Non-ECR, formerly known as ECNR, means Emigration Check Not Required. In general, if you have passed 10th class/grade (Matriculation or Higher Educational Pass Certificate) or have higher degree then your passport falls under Non-ECR Category. But, there are other exceptions as well, when you fall under Non-ECR category as listed below. Children up to the age of 18 years. Income taxpayers ( including agricultural income tax payers), their spouses and children under 18 years. Professional degree holders such as Engineers, Doctors, CA, etc., their spouses and children. People holding diploma in Polytechnic from any recognized institute. People who work in Sea with Continuous Discharge Certificate or Sea Cadets and Deck cadets. Depending on your status listed above, you will need to carry the relevant documentation as listed on Passport Office Non- ECNR page to the passport office for verification during passport application process. ECR in Passport Application Form – What to select ? You will come across this question : “Are you eligible for Non-ECR Category?”, when you are filling out Indian passport application form. As described above, if you have NOT passed 10th class/grade ( Matriculation or high school pass certificate) and do not satisfy any of the above listed Non-ECR category criteria, then you would need to select YES. Alternatively, if you have passed 10th grade/class and have qualification above that or you fall under any of the above listed Non-ECR category criteria, then you would select NO. How would I know, if my passport is ECR or Non-ECR ? If your passport falls under ECR category, your passport will have it listed clearly with either a stamp/ notation or full text “EMIGRATION CHECK REQUIRED”. For passport before Jan 2007, it used to be a stamp, for latest passports you will find the text written/endorsement in the address page of the passport. Usually for passports issued after Jan 2007, if you do not find any endorsement / printed text / notation in the passport that says “EMIGRATION CHECK REQUIRED” or then your passport falls under Non-ECR category. The practice of putting Non-ECR (previously ECNR) stamp has been discontinued and you only see Text notation in passport. How does ECR Passport Look like – ECR Endorsement / Notation Sample ? How does it work for Minors or Children Passport with ECR ? Children below the age of 18 years with one or both parents are eligible for Non-ECR till he/she attains the age of 18 years. ECR Passport and Emigration Clearance to work in Certain Countries ? As of now, there is a ban on emigration to Iraq. For ECR designated Countries, as ECR Passport holder, do you need Emigration Clearance even for Tourism and Pleasure ? You do not need Emigration Clearance for the above listed countries as ECR Passport holder, if you are traveling to above listed countries for purpose other than employment like for tourism, pleasure or visiting friends/relatives. For that, you have to provide a valid passport, valid visa and return ticket at the immigration counters at international airports in India. These guidelines came into effect from Oct 2007. Can you change ECR to Non-ECR in Indian Passport ? Did I miss anything ? Share your thoughts and experiences. the passport appointment prosess has been complited without 10th,12th&degree cetificat but i have degree certificat then possibel any change ?